Episode 26: RENT - A Reel Education: The Musical! 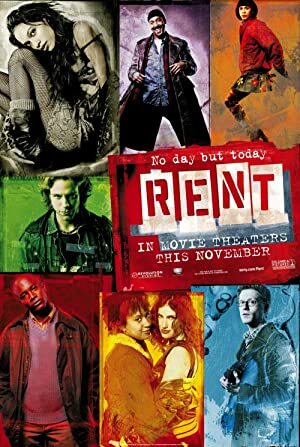 Listeners, this week Mike leads us through the movie version of RENT which Vinnie has never seen. The 2005 film unites much of the original cast which seemed like an exciting idea at the time – until you have a close up on a 30-something trying to sell the uniquely narcissistic arrogance of the mid-20s. It also illustrates how very much “of the time” the musical was in 1996: ten years later and the themes, topics, and music do not age well. A period piece rather than a timeless classic. Perhaps the greatest stumbling block is uninspired and clunky (and strangely sanitized) direction that manages to take an ensemble of incredible talent and render them lackluster. 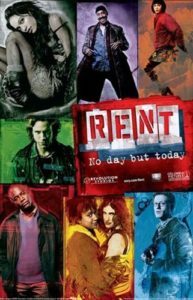 Join us as we cover RENT (see what I did there?)! Plot: This is the film version of the Pulitzer and Tony Award winning musical about Bohemians in the East Village of New York City struggling with life, love and AIDS, and the impacts they have on America.